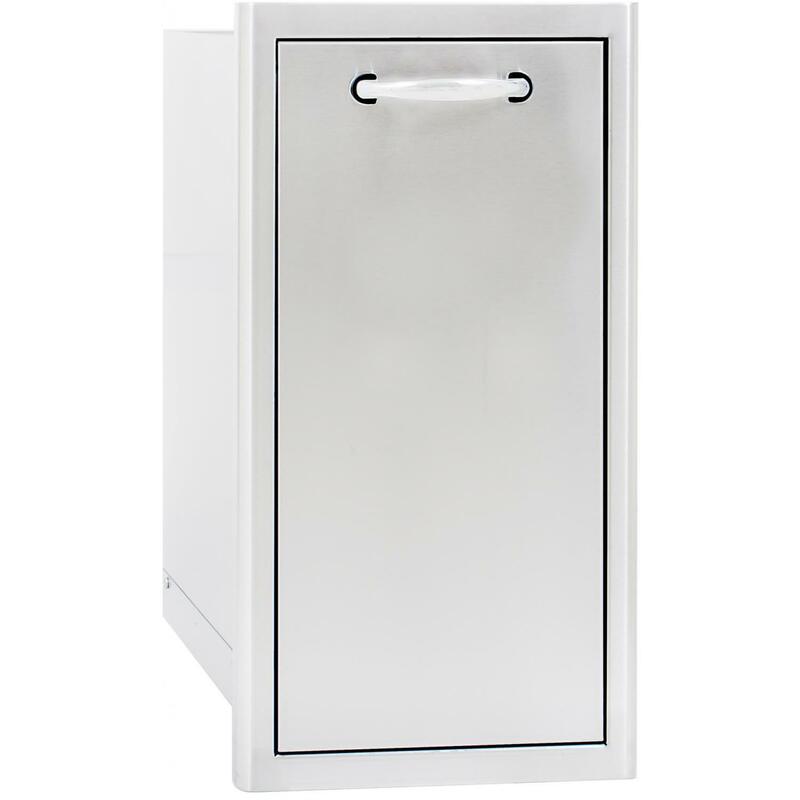 Product Description: Blaze Roll-Out Trash / Propane Tank Drawer - BLZ-TRLP-DRW. 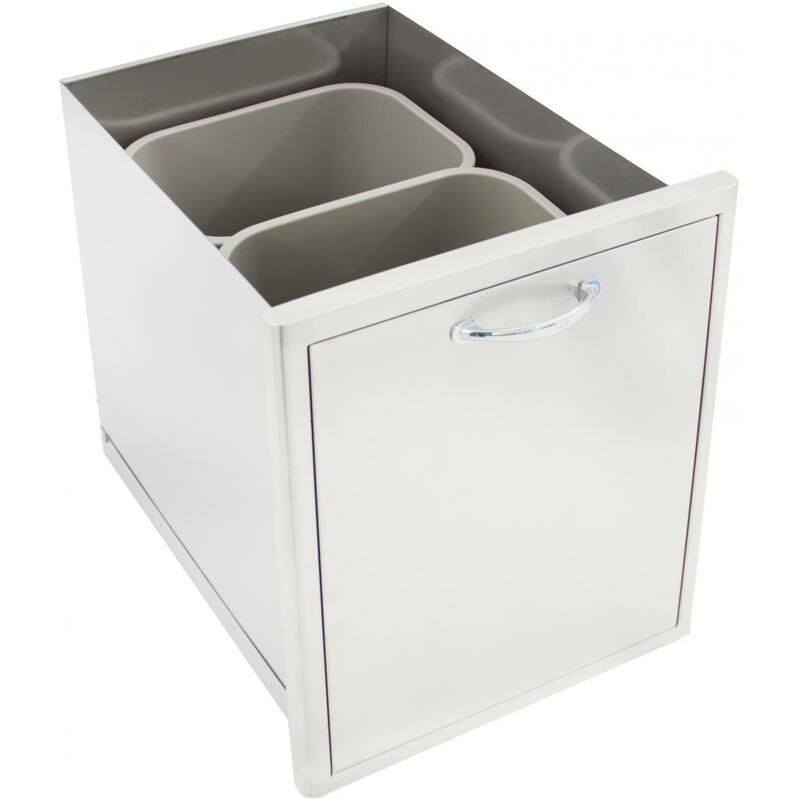 This Blaze trash bin features commercial grade 304 stainless steel construction to withstand outdoor elements and a unique completely rounded bevel design that enhances strength and durability. Conveniently hide the bin and gain easy access to the trash by pulling the roll out drawer open. 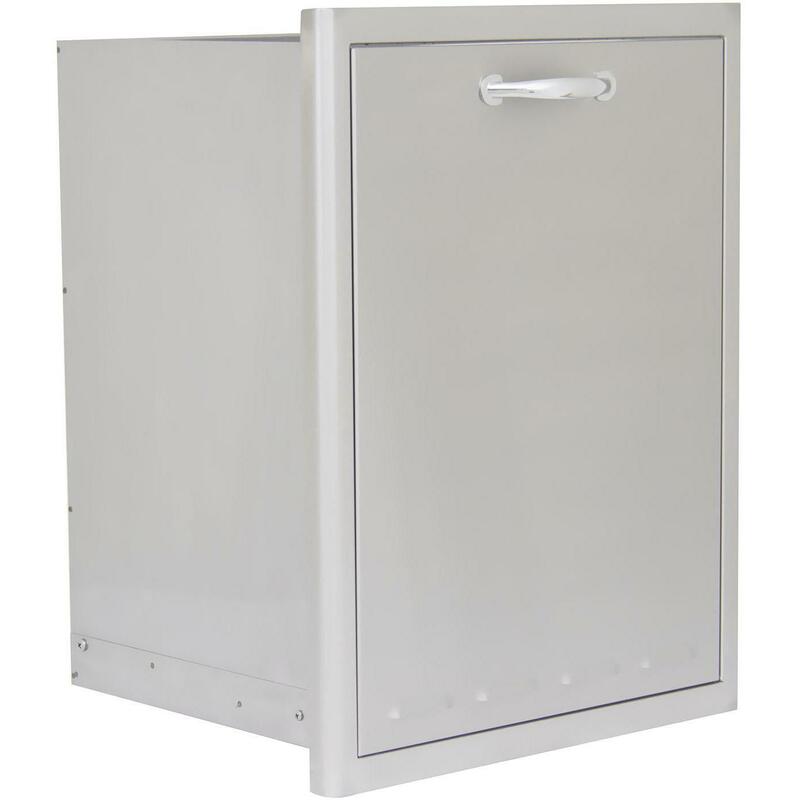 The drawer can also be used to store a standard 20 pound propane tank. This quality outdoor kitchen trash bin is double-lined and accented with a curved handle. A 42 quart trash bin is included with this drawer. Blaze storage drawers are the perfect storage solution for any outdoor kitchen!